In 1873, the brush maker Roman Dietsche founded the company in Todtnau-Aftersteg. The wood from this region was the most important raw material for manufacturing top-quality brushes. The small company grew quickly and soon become an important economic factor in the Black Forest. Today, DIETSCHE is a modern, up-to-date company serving a market that is international in scope. It specialises in development and manufacturing of bathroom solutions which enables their customers to create the authentic DIETSCHE bathroom experience and express their individual lifestyle. Committed to the tradition of craftsmanship Roman Dietsche GmbH offers to its international customers intelligent bathroom solutions with stylish design. As a customer value oriented company we strive for excellence in quality and flexibility delivered through professional service. 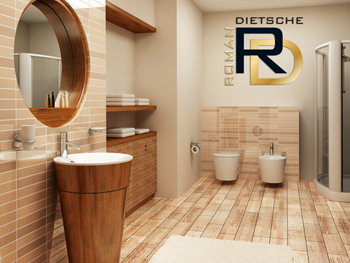 Dietsche offers high quality, exclusive bathroom accessories and faucets for the professional sector. Many hotels all over the world appreciate the board range of their products and their key competences INNOVATION, QUALITY, SERVICE.